Hoffman Room, The San Diego Foundation – Tuesday, July 17, 2018 at 6:00 p.m. Hybrid zones have received significant attention in biology, although few studies have investigated how behavioral traits vary across these regions of interaction. 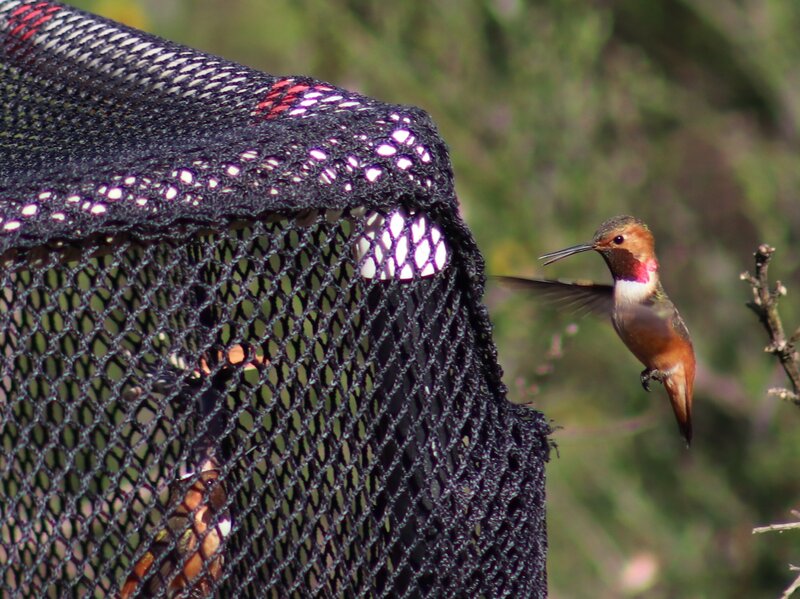 In a hybrid zone in southern Oregon and northern California between Allen’s (Selasphorus sasin) and Rufous (Selasphorus rufus) Hummingbirds, we found that hybrids vary in morphology and behavior. 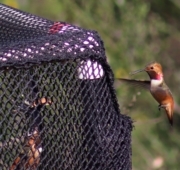 We will describe the hybrid zone by characterizing variation in phenotype across the area of contact, emphasizing cline analysis and courtship behavior, where hybrids perform courtship displays that incorporate different elements of the displays of each parental species, and describe how to identify individuals based on morphology and behavior. Data suggest the center of the hybrid zone spans along the coast from Bandon, Oregon, to Port Orford, Oregon, and several miles inland. 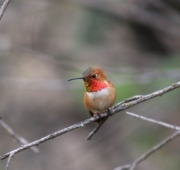 Along the coast, the contact zone extends north into the range of Rufous Hummingbird (as far north as Florence, Oregon), and south into the range of Allen’s Hummingbird (as far south as Arcata, California). Few studies have incorporated analysis of the variation of behavior across an area of contact. 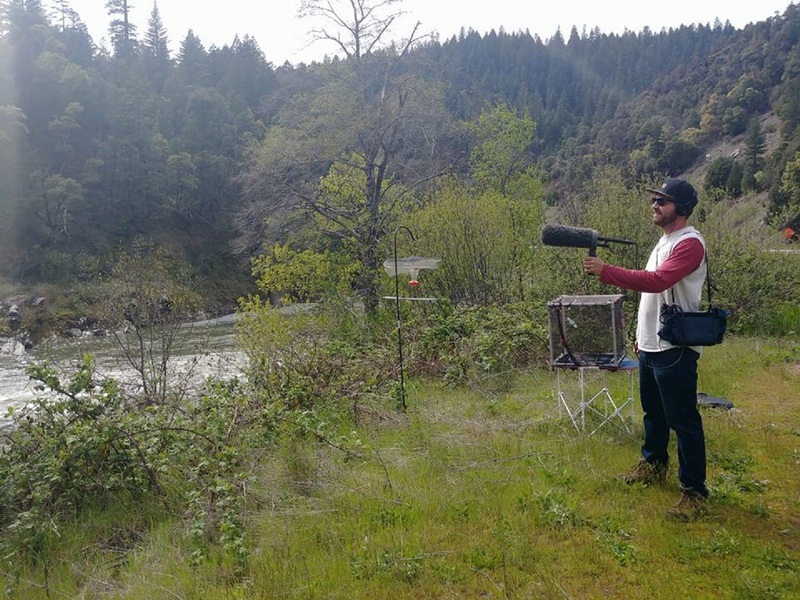 By doing so, we add an additional, understudied layer of biology to the study of hybrid interactions. Furthermore, given the importance of evolutionary biology and its role throughout all of the sciences, we will discuss why focusing on hybridization is important, and its role in the speciation process. Brian is working on his PhD in Evolutionary Biology at San Diego State University and the University of California, Riverside. He received a B.S. 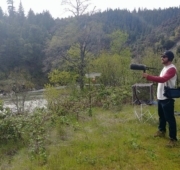 degree in Environmental Biology at California State Polytechnic University, Pomona where he studied the effects of long-term drought and artificial water sources on migrant and resident coastal sage scrub bird populations. 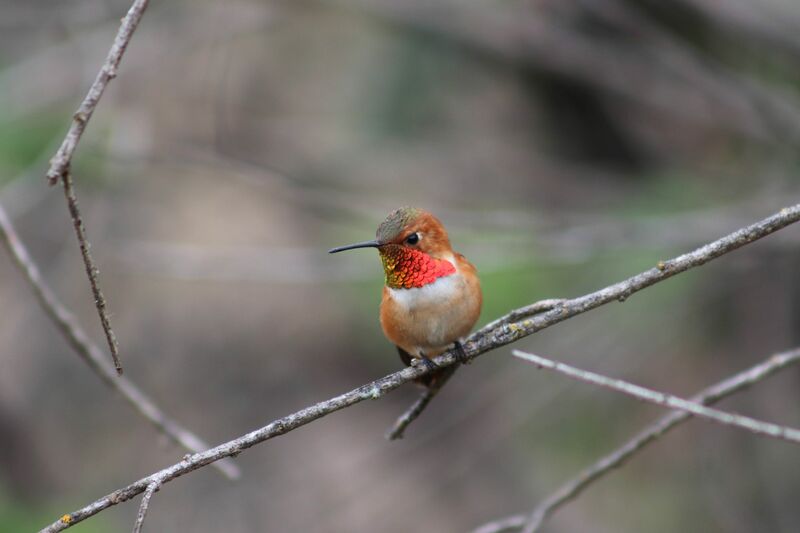 Currently, he is studying a newly discovered hybrid zone between Allen’s and Rufous Hummingbird, performing a phylogeographic study throughout the range of Allen’s Hummingbird, and is part of an ongoing NSF-funded project attempting to use recombination within the hybrid zone to determine how an innate courtship behavior evolves at the genetic level.